You ever have one of those days when it seems the world is against you? You know, your toddler has spilled every single thing he has picked up, your preschooler has run down the hall after an accident in the bathroom, your oldest kids are fighting like they are part of WWE, and the baby is clingy. Yeah, some days I just want to call in pizza, but we only have pizza on Friday nights. 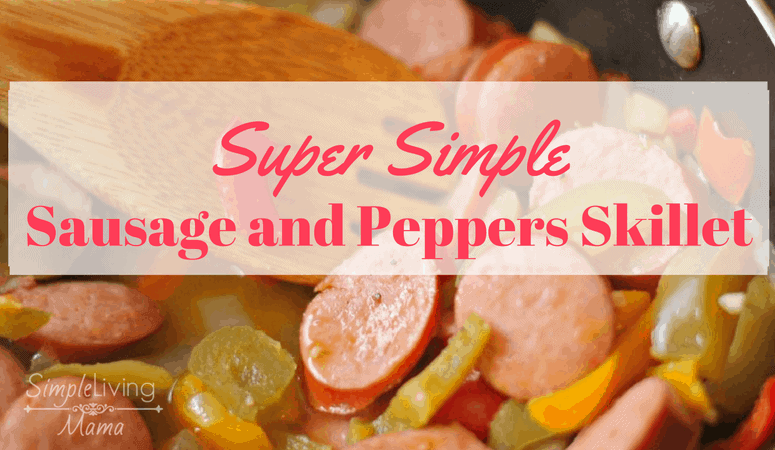 If I know I have a few simple staples on hand, I can whip up this sausage and peppers skillet in about 20 minutes. 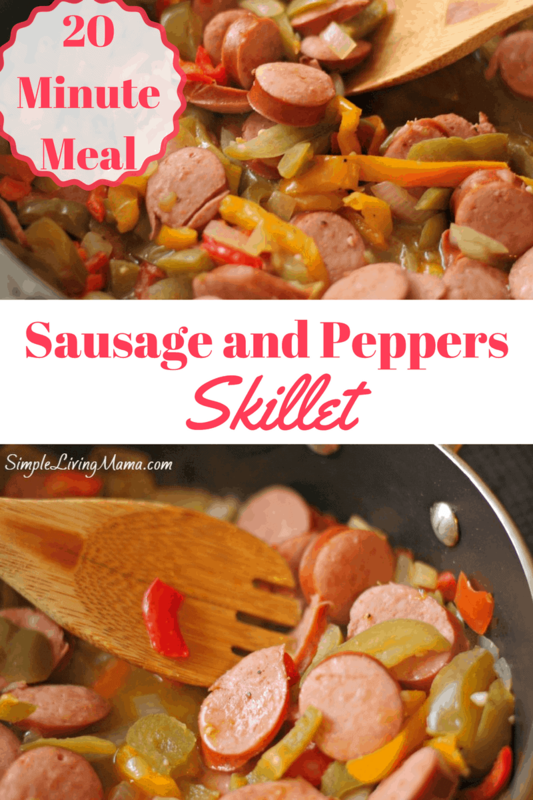 I love easy skillet meals. Let me show ya how to make it! Y’all are going to laugh at how simple this is. Simply heat your skillet up over medium heat. Swirl in the olive oil. Cook the onions and garlic until translucent. 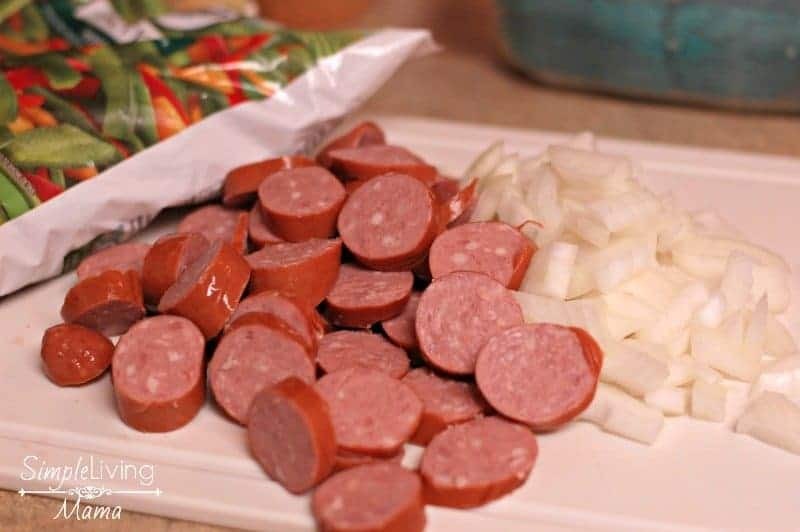 Add in the sausage and let it brown a little. Then toss in the frozen peppers. Once the peppers are warmed through. You have dinner! You can serve this several different ways. I served this dish alongside rice, but it would be great on some rolls as a sandwich. You could even eat this dish with some roasted potatoes. I absolutely love the simplicity of easy, 20 minute meals. There are days I just don’t feel like cooking, and meals like these are my saving grace. Every mama needs a few of these in her back pocket! 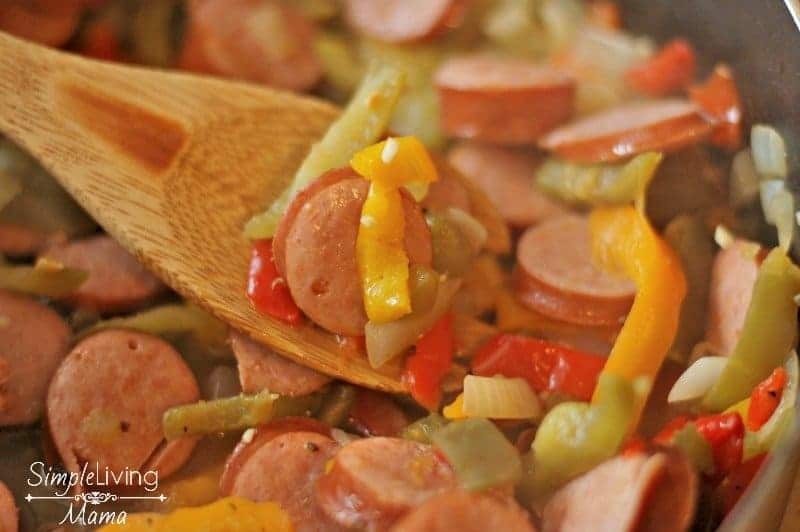 Once you get the hang of making easy and frugal meals, you can drastically reduce your budget because you won’t be tempted to get take-out as often. Speaking of easy and frugal meals, have you checked out my post on how to plan frugal meals? It’s one of the most popular here, and you can even pick up my frugal meal action planner for free! Go check it out! 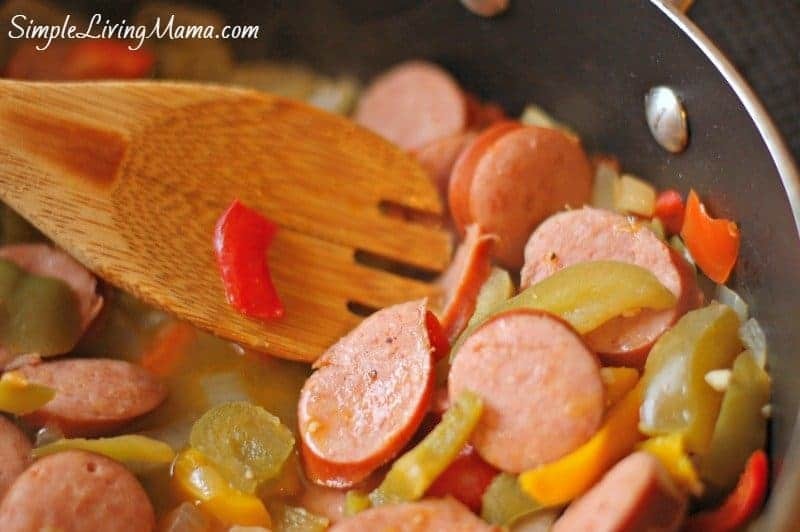 An easy 20 minute sausage and peppers skillet recipe. Cook onions and garlic until translucent. 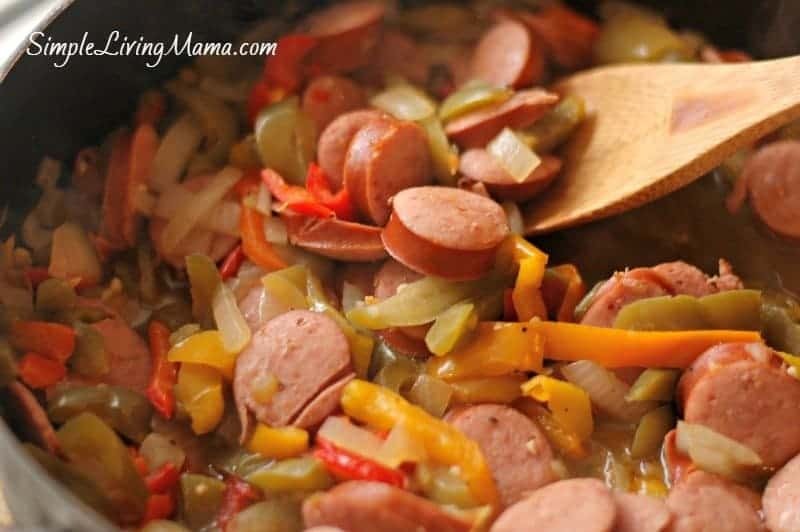 Toss in peppers and heat until warmed through.